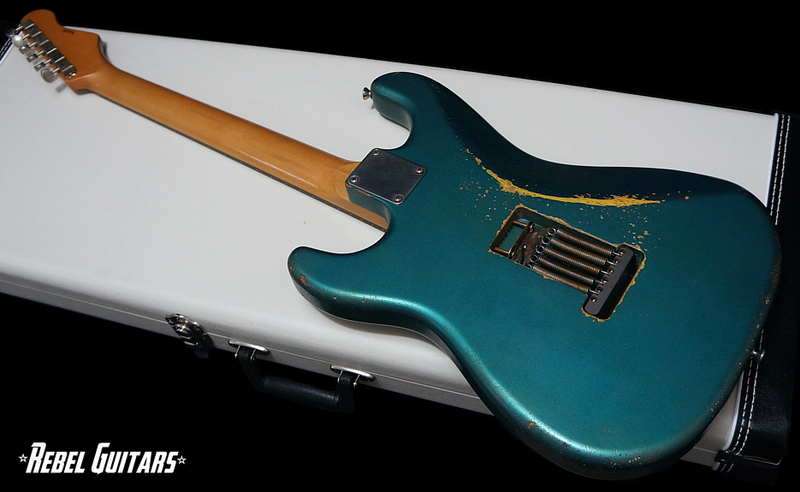 Here is a Rock N’ Roll Relics Blackmore with a Ocean Turquoise over Burst finish. 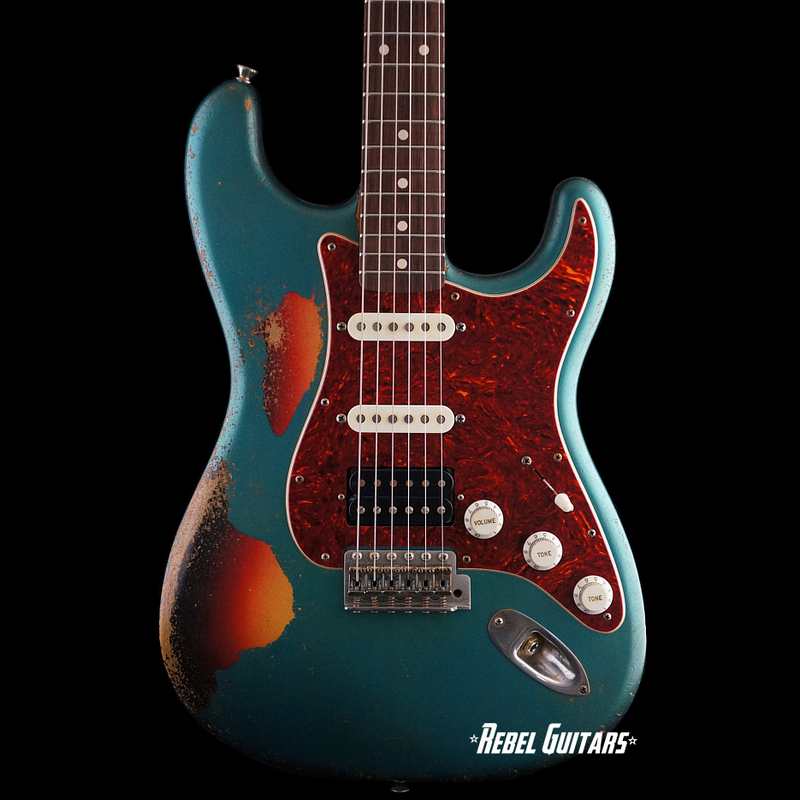 Other features include an Alder body, a Maple neck with reverse headstock, Rosewood fretboard, and Mojo Tone pickups. 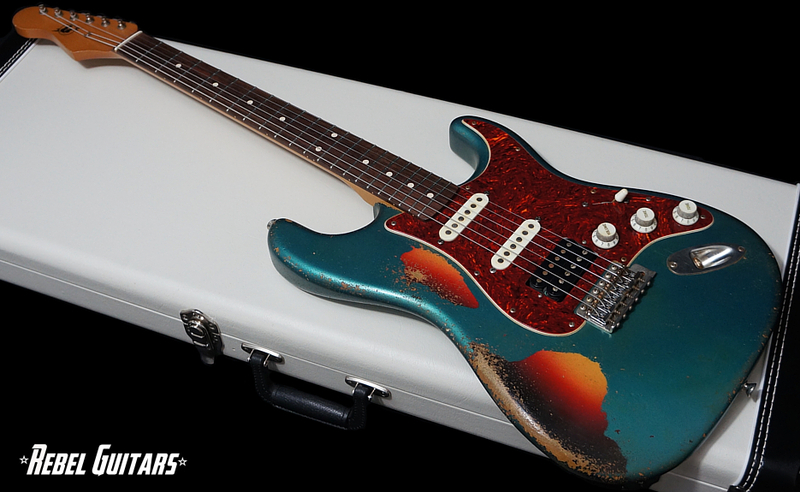 Medium/Heavy aged nitro finish. 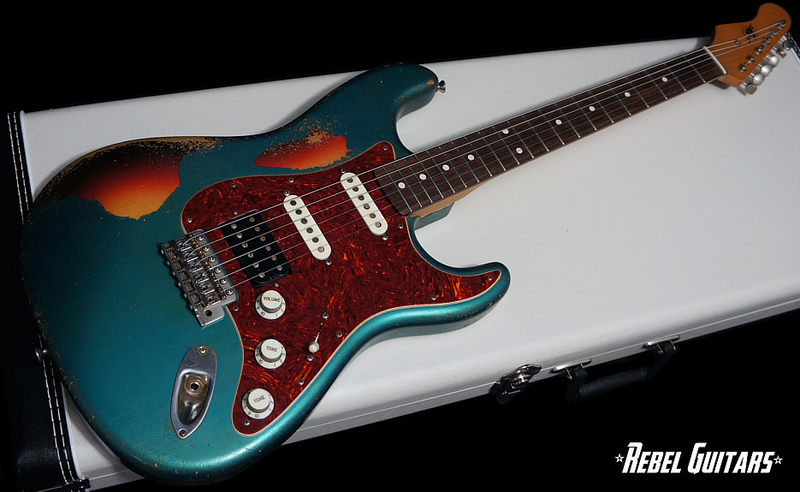 Comes with G&G hardshell case and signed COA.